The study of “demons” is a fascinating yet challenging topic in biblical literature. There is much to be learned from a survey of this theme. Admittedly, however, there is some mystery as well. It is not that the sacred text cannot be understood; that is plain enough. The puzzlement lies in the fact that we are not witnesses to the phenomena that the original saints were. Demon possessions during the time of Christ’s public ministry, and subsequently in the first century to a lesser degree, have not been extended in the ages since that time. Unfortunately, not all Bible students understand this reality. Recently a misguided brother in Christ has attempted to argue the case that demon possession is a modern day reality (Dan R. Owen, “The Powers That Be,” Gospel Advocate, December, 2014. 20-22). In view of this, we offer the following observations. 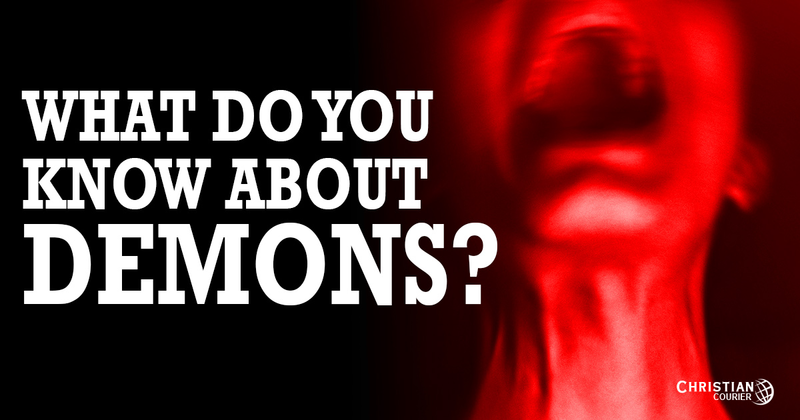 Demons: What Do You Know About Them? One of the most controversial topics to be discussed in recent years is that of “demons.” The subject has been given wide publicity by a variety of sensational books, television shows, and movies, such as The Exorcist or more recently NBC’s Constantine. Many people, upon considering this theme, have been led to believe they are demon possessed, or else they believe they know someone who has been taken over by evil spirits. What is the truth regarding this matter? What were the demons of biblical fame? What was their origin? What powers did they possess? Why did they enter certain persons and not others? Do they still possess people today? These questions engage the attention of thinking people. The answers to the foregoing inquiries will not be found in the cheap books and shoddy movies of our perverse society. Rather, any valid information with which the human race has been indulged will be in the inspired Scriptures. The truth of the matter is, the Bible does not give a systematic treatment of demons. When one has examined every biblical reference to the subject, there still are unanswered questions. The subject of demons is only introduced in the New Testament as the topic relates to other matters of importance; it is therefore incidental. We are merely given sufficient minimal information—information necessary for the establishment of more important truths. The subject of demonology thus was obviously not an end within itself in New Testament doctrine. Demon possession was a historical reality of first century society; and no one, who respects the accuracy of the New Testament record, will deny this. Spirit entities, known as demons, did inhabit and afflict human bodies during that age. However, the question of demon origin is not spelled out in the Scriptures. Several theories have been advanced by Bible students, most of which, incidentally, may be dismissed immediately. Some, for instance, have suggested that demons were the disembodied spirits of a strange pre-Adam race of men that once lived upon the earth in that fictional “gap period” that is supposed to have fallen between Genesis 1:1 and 1:2. The problem with that theory is this: there is not a shred of biblical evidence that any such gap period ever existed! That idea was born in the feverish minds of those who were panicked by the assertions of the evolutionists, and who thus sought to force the Bible into harmony with evolutionary chronology. How could there have been a pre-Adam race of men if Adam was the first man (1 Cor. 15:45)? However this cannot be correct since Christ clearly taught that angels are sexless beings, incapable of such unions (cf. Mt. 22:30). In the Genesis context the “sons of God” were the righteous lineage from Seth, while the “daughters of men” represented the wicked descendants of Cain. The other suggested views on the identity of demons are these. First, demons may have been the spirits of wicked dead men whom God, in harmony with his divine purposes, permitted to leave the Hadean realm to indwell some people. Alexander Campbell argued this position in his lecture on, “Demonology,” found in his volume, Popular Lectures and Addresses. Others have contended that demons were fallen angels who were allowed to escape their confinement to similarly accomplish some component in the divine plan (cf. Jude 6). Charles Hodge, a leading Presbyterian theologian, in his work on Systematic Theology contended for this viewpoint, which is most unlikely. Regardless of the ambiguity relative to demonic origin, the New Testament clearly recognizes the fact of first-century demoniacs. As to their nature, demons were “spirits.” Note how Matthew interchanges the terms: “they brought unto him [Jesus] many possessed with demons: and he cast out the spirits with a word” (8:16). Since Christ declared that: “a spirit has not flesh and bones” (Lk. 24:39), it is certain that demons were not physical beings. Concerning their character, demons are represented as malevolent entities. They were unclean, evil spirits—under the sway of him commonly known as “the prince of demons,” i.e., Beelzebub or Satan (cf. Mt. 12:24). Demons were intelligent beings, possessing true knowledge (Mk. 1: 24). Moreover they could exercise both volition and locomotion when permitted to do so (Mt. 12:44, 45). Demon possession frequently resulted in physical and mental illness (though such illnesses were clearly distinguished from the demons themselves — cf. Mt. 4:24). Those possessed of demons were at times smitten with dumbness (i.e., muteness) (Mt. 9:32), blindness (Mt. 12:32), convulsions (Mk. 9:18), epilepsy (Mt. 9: 32), etc. Occasionally they were endowed with superhuman strength (Mk. 5:4; Acts 19:16). The New Testament provides no specific reasons why demons entered into particular individuals; they inhabited men (Mt. 9:32), women (Lk. 8:2), and even little children on occasion (Mk. 7:25-30). Since demons were obviously under the control of God ultimately (Lk. 10:17ff), why were they allowed to enter into, and to afflict, those ancient people? Apparently demon possession was divinely permitted by God so that the supreme authority of Christ might be made manifest in their expulsion. As the Savior revealed his control over the forces of nature (Mk. 4:37-39), disease (Mk. 1:12), material things (Jn. 2: 9), and even death (Jn. 11:44), so also must the Son of God demonstrate his power over the “spirit” realm. His authority over unclean spirits heralded his approaching regime. He declared: “If I by the finger [power] of God cast out demons, then is the kingdom of God come upon you” (Lk. 11:20). The authority of Jesus over evil spirits amazed the Jews. They exclaimed: “What is this? A new teaching! With authority he commands even the unclean spirits, and they obey him” (Mk. 1:27). The Lord also empowered his disciples to expel demons, and they did so (Lk. 10:17), except on one occasion when their own lack of faith hindered their efforts (cf. Mk. 9:28; Mt. 17:18-20). Shortly after The Exorcist movies was released, a description of some purported modern cases of demon possession was published in an article titled, “The Exorcism Frenzy” appearing in Newsweek magazine (Feb. 11, 1974). Note some of the contrasts between these alleged “modern examples,” and the circumstances of the first century. Most alleged demon “exorcisms” today are secluded, back-room affairs that are only later publicized. Yet when Jesus expelled evil spirits, his miracles were publicly viewed, by astonished multitudes (Lk. 4:36). The Lord and his apostles could expel demons with but a word, effecting immediate results (Mt. 17:18; Acts 19:11-12). However, a Jesuit Priest, who was supposed to have “exorcised” the young boy who served as the main character in William Blatty’s book, The Exorcist, was said to require two months and a ceremony employed twenty times, to effect that alleged miracle! More recently, a Catholic Priest in San Francisco claimed that he was able to cast out a demon after only fourteen attempts! The demoniacs of the New Testament era were afflicted, either bodily or mentally, by some malfunction of otherwise normal attributes. Those cases involved no grotesque details. If one may whimsically say so, modern “spirits” are apparently considerably more dramatically qualified than their first century counterparts! It also is very significant that the New Testament record is not cluttered with the absurdities common to so-called contemporary cases. Catholic Priest Karl Patzelt claimed that during one of his “exorcising” sessions, a demon took a bite out of a sandwich! A magazine photo shows a picture with a perfect set of teeth prints in the sandwich. One cannot but wonder though, how the demon could have bitten into the sandwich, since spirits have no teeth (cf. Lk. 24:39), and even why such an urge would have occurred in the absence of a physical appetite! Modern demoniacs are described as frequently uttering “fierce curses” and “bursts of blasphemy.” In the New Testament, however, demons always were very respectful of deity. They believed in the one God (Jas. 2:19); they acknowledged Jesus as the “Holy One of God” (Mk. 1:24), and the “Son of God” (Mk. 3:11)—who ultimately would banish them to torment (Mt. 8:29). Never did they blaspheme deity. Finally, it must be observed that the ability to cast out demons was a miraculous sign which demonstrated that the person with that gift was a proclaimer of God’s revealed truth. The gift was to confirm the divine message (Mk. 16:17-20; Heb. 2: 3, 4). Modern exorcists are constantly contradicting themselves and their fellow exorcists, as well as the written Word of God. Their very testimony is self-incriminating. With the termination of the supernatural era of the early church (cf. I Cor. 13:8ff), demon possession, and the corresponding gift of expulsion, ceased. Does it seem reasonable to assume that since there is no gift of demon expulsion available today, God would allow demons to continue entering and afflicting his human creatures? That would certainly suggest an imbalance of power and would put man at a great disadvantage. A careful study of the New Testament data reveals a gradual cessation of demonic activity as the apostolic age drew toward its conclusion. “Are people today afflicted by demon possession? Obviously, not. Even a casual examination of the instances chronicled in the New Testament will show that the circumstances attending demon possession then are not characteristic of our day” (Questions and Answers. Vol. I, Freed-Hardeman College. Henderson, TN. 1976. 234). Demon possession is not a phenomenon of this age, and affirmations to the contrary are seriously misguided. See also: Demons: Ancient Superstition or Historical Reality?